Any real cook will tell you that the true tests of culinary skill are the simplest dishes. There is no room for error in a perfectly roasted chicken or a beautifully poached egg. This Is Martin Bonner is the movie version of that concept. A nearly plotless 90 minutes or less, it focuses on the title character, a charming and understated Australian played by Paul Eenhorn, and his growing relationship with a recently released convict named Travis, played by Richmond Arquette (and yes, one of the famous clan). Director/writer Chuck Hartigan follows the two characters, whose paths subtly parallel each other. Divorced and in the “only job that would take me”—as a volunteer coordinator for a Christian program that attempts to reintegrate ex-prisoners into mainstream life—Martin has only recently moved to Reno, to an apartment that looks suspiciously like the hotel room where Travis finds himself upon his release. At the urging of his daughter, Martin tries speed dating. At the persistence of a very young and desperate prostitute, Travis hires her, even though they have to ride the bus to his room since he doesn’t have a car. 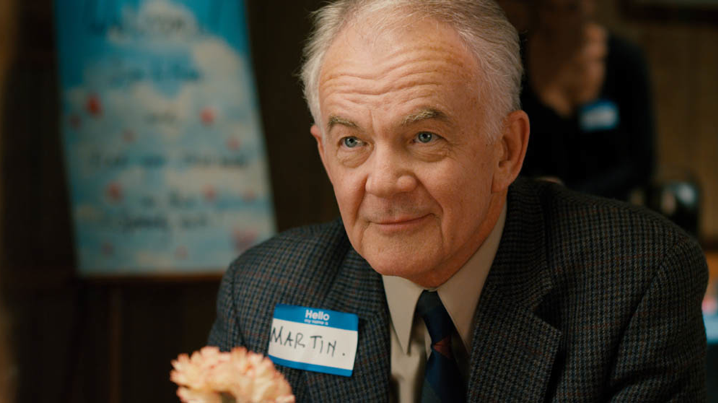 Martin repeatedly leaves messages to a son who never picks up. Travis reunites with his daughter at a Denny’s type of restaurant, awkwardly sitting by her side as her eyes skitter everywhere but in his direction. The movie bills itself as “quietly observational,” and it feels very much like eavesdropping. It’s to the credit of everyone involved, including cinematographer Paul McElwee, production designer Maggie Kaiser, and editor Julio Perez IV, that in a movie where very little happens, you are completely riveted. Perhaps remarkable is the way the movie deals with Christianity. Non-raving, kind people talk about the difference their faith has made in their lives, while Martin and Travis discuss, without rancor, what they don’t understand about it. There is a charming diffidence to the entire thing, as well as refreshing honesty. In its stillness, it captures what life is like: avoiding confrontation if possible—of course, it isn’t always—accepting modest connections, keeping expectations in check, moving slowly. And yet, in the hands of so many other folks, this would be a depressing hour and a half, and it is just the opposite. Martin Bonner ends in literal and figurative sunshine. Joy, grace, and light are no less beautiful when they come in small packages—and are so much easier to grasp. This Is Martin Bonner will play at Cinetopia, Ann Arbor’s upcoming film festival (info at link). This entry was posted in Uncategorized and tagged Chuck Hartigan, Cinetopia, Paul Eenhorn, Richmond Arquette, This Is Martin Bonner by Shiva. Bookmark the permalink.